Call to speak to a live bail agent now! Every minute your loved one is locked up feels like hours. Don’t wait for a call back, for immediate bail bondsmen assistance call 860-247-2245 that is 860-247-BAIL. With our headquarters in Hartford, Connecticut our bail bonds service in Hartford is the fastest in the state. We are open 24 hours, seven days a week to serve you immediately. We have created the best team to ethically handle all bail bond issues. 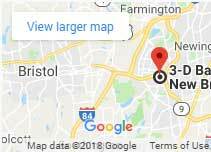 Our Connecticut Bail Agents are located strategically throughout Connecticut. We employ the finest and most professional Bail Enforcement Agents to protect your resources. Finally, our expert collections staff allows those requiring alternative payment plans the ability to have them. 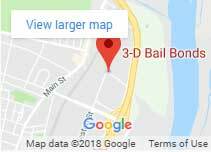 Hartford Bail Bonds – 3-D Bail Bonds 57 Fishfry St, Hartford CT 06120 across from the Hartford Community Correctional Center (HCC) also known as the “Meadows jail”. New London County – bail bonds in New London, Norwich, Colchester, Groton, Niantic, Old Saybrook, and Clinton. New Haven County – bail bonds in New Haven, East Haven, West Haven, Hamden, Meriden, Waterbury and more. Fairfield County – bail bonds in Bridgeport, Stamford, Fairfield, Norwalk, Trumbull, Westport, and more. Windham County – bail bonds Willimantic, Danielson, Plainfield, Putnam and more. Lichfield County – bail bonds in Litchfield, Torrington, North Canaan, New Milford, and more. Every minute your loved one is locked up feels like hours and they may be hindering their own defense by speaking to the Authorities. 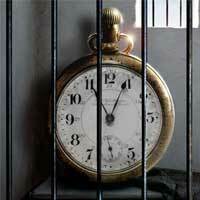 3-D Bail Bonds can get them out as quickly as possible! Our Bail Bondsmen are here to help and welcome your call. We make every bail bond happen by having an easy process and paperwork. Local Bail Bonds service in Connecticut is our expertise. Ask about our low-priced fees and incredible payment plans in each CT town. Everyone can afford a bail bond at 3-D Bail Bonds. We are prompt, courteous and professional. Service is our specialty. WE POST BAIL EVERY DAY AND HAVE A BAIL BONDSMAN NEAR YOU NOW! Our local bail bondsmen and bail bondswomen are highly trained and will respond to information requests in a timely and helpful manner. We understand the urgency to post bail immediately after an arrest; that’s why Bail Agents are scheduled 24 hours a day, 7 days a week. Our professional bail bondsmen are very knowledgeable, trustworthy, bilingual English-Spanish, and the most experienced in the industry. Most of them have been with 3-D Bail Bonds for over ten years, try them today call 3-D Bail Bonds and post bail. They’re local and available immediately. Bail Bonds is all we do. Almost any bond is possible at 3-D. Over the years we’ve heard people say their loved one was arrested and they asked for Hartford bail, fast bail, cheap bail, payment plans bail bonds, and affordable bail. They told us they searched “find a local bail bondsman near me”, “find a cheap bondsman near me” and “how do I get my mom, dad, or friend out of jail”. After researching they found us and said: “I searched high and low, and finally found 3-D Bail Bonds”. Take a look at our testimonial page and see for yourself what others are saying about us. Read a review from one of our many happy customers. WE LIVE BAIL BONDS EVERY DAY! We are considered the neighborhood bondsman in almost every community in the state, we have Bail Agents strategically located throughout Connecticut so we can serve you immediately. Call today for a free, confidential quote and consultation. Our goal is to be there when you need us and we won’t be happy until we exceed your expectations. It’s our promise. Learn more about our fastest bondsmen service in Hartford and why you should use a local trusted Hartford bail bond company to protect your investment. Learn more about our friendly and professional staff here.